Many thanks to the young people from South Wirral Young Peoples Project, Liz Hawkins and her team who helped to create the lovely hanging baskets in New Ferry this summer. 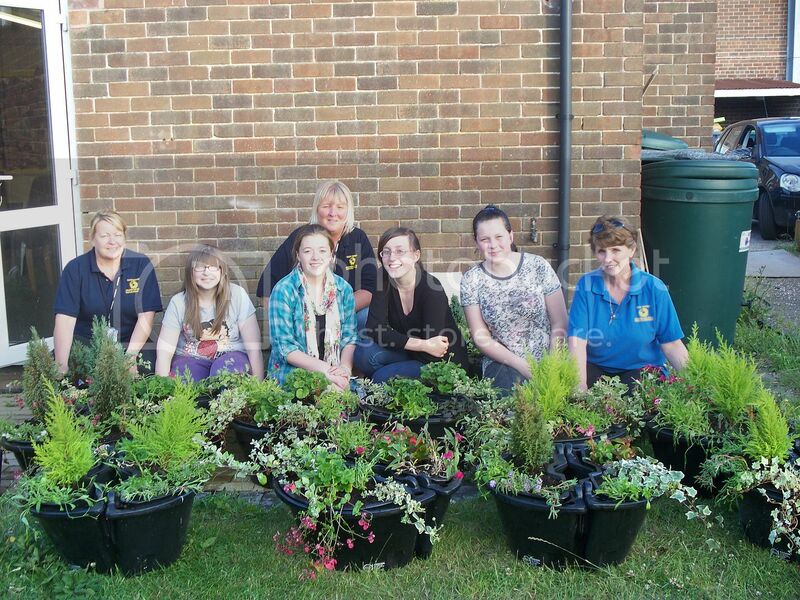 The girls volunteered to plant up the summer baskets as part of the youth project 'Dig It' which is based at the Bromborough Fire Station. We think you'll agree the baskets have added a bit of well needed summer colour to New Ferry. All the plants and flowers used were sourced locally from Wirral Autistic Society Garden Centre and donations kindly given by Stem by Stem. The summer baskets have now nearly come to an end and we would like to ask for volunteers to come forward to plant up the Autumn/Winter seasons baskets. If anyone would like to help please email newferry@hotmail.com or leave their name with the librarian in New Ferry Library. The South Wirral Young Peoples Project also organises a number of FREE activities for young people at Bromborough Fire Station, Dock Road South. You are welcome to come along and get involved.